At this point, Amazon has basically become a one-stop shop for all things nostalgia and fun. 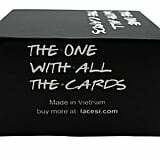 Not only is it a place where one can casually purchase a pillow in the shape of a baguette and a blanket made to look exactly like a giant tortilla, but you can also buy a Friends-inspired Cards Against Humanity card game that'll take your love for the Central Perk crew to the very next level. 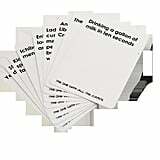 Available on Amazon but not officially affiliated with Cards Against Humanity, The One With All the Cards ($37) looks eerily similar to the classic (notoriously offensive) fill-in-the-blank card game. 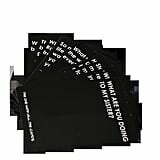 It comes with 99 gray cards and 180 white cards that all feature questions and answers based on some of the show's most memorable plots and sayings. 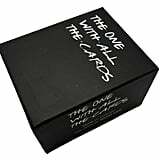 The game is available for $37 on Amazon and can also be purchased as a printable download on Etsy for just $6. Shop the game ahead and take a closer look at a few product photos.